I had a similar experience when corresponding with my local MP, Grant Shapps, about banking reform. I wrote (e-mail) to him in good faith, in the hope that he would investigate the issues involved and/or at the very least read the joint submission of The New Economics Foundation (NEF) and Positive Money (PM) to the Independent Banking Commission (ICB). I received two duplicate form responses from two different adjutants. I doubt very much Mr. Shapps ever read my letter, or the NEF/PM submission to the ICB. Which is a shame, as this is an important issue and would be nice to think our politicians (who cannot be expected to be experts in all fields) would welcome a little guidance when its offered to them by their electorate and/or experts. If when, later this year, the ICB releases its recommendations and they are ignored or glossed over by the current regime in Whitehall I shall be very angry. That will be the last nail in the coffin of my hope for a democratic settlement under the current form of government. It’s incredible how MPs fail to address the concerns of the constituents they are paid to represent. Our current form of government is no longer sustainable if MPs do not listen to or regard the thoughts of the electorate. People often forget that out current form of government was not arrived at on the grounds of philosophy and righteousness, but rather successive revolts and rebellions that have granted further freedoms. The history of British democracy is not one of constant struggle and grudging settlements, and not honourable politicians working for the good of their people. Are there any honourable politicians anywhere in the world? Politicians, celebrating the UN International Year of Forests in their own special way. Indeed they do – the irony is not lost on any of us. I’m in the Forest of Dean. 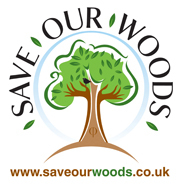 Our local (Tory) MP, who’s in the government, said unequivocally in our local paper “there are no plans to sell the Forest to commercial interests.” If he’s lying – I’ll sign. Until the the White Paper’s out, I suggest keeping knickers untwisted. Thanks for that Cyril – when did the Green Paper go out? Isn’t the Green Paper supposed to go out first? What about the Public Bodies Bill clauses 17 & 18 that affects ALL publicly owned forests and is currently in the House of Lords?